Recently one of our users has enquired about the difference between the two Route 53 policies, Route 53 Latency-based Routing policy and Route 53 Geolocation Routing Policy. It appears that both the policies will route the traffic request to the nearest resource from where the query originates. So, in that case, why do we need two different routing policies that will provide the same functionality? However, in reality, it is incorrect. These two routing policies are not just for routing the request to the nearest resource. Route 53 policies is an important topic to cover during the preparation of AWS certifications. If you are preparing for AWS Certified Solutions Architect Associate and AWS Certified SysOps Administrator Associate exam, then it is a must read topic. So, let’s look into these two Route 53 policies (i.e. Route 53 Latency-based Routing policy and Route 53 Geolocation Routing Policy) with a use case scenario. You are designing a global travel website using multi-region architecture in AWS cloud. When user’s login to your website, they should have a good experience. Also, the user should be able to view the contents in the official language of the country from where the person is logging in. Due to compliance reasons, the European customer data should be stored in Europe and US customer data should be stored in the US. Which of the Route 53 policies is apt for the scenario described? Should we go for Route 53 Latency-based Routing policy or Route 53 Geolocation Routing Policy in this case? Latency-based routing policy does ensure that the user will have a good experience in terms of latency. 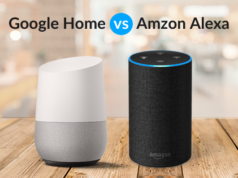 However, latency based routing does not always ensure that the traffic is routed to the nearest resource in terms of proximity to the source of the query. For latency-based routing, you create latency records for your resources in multiple AWS Regions. When a DNS query is received by Route 53 for your domain or sub-domain, it evaluates the latency records that you have created for AWS Regions. Then, it will determine which region provides the lowest latency to the user, and then selects the appropriate latency record for that region. However, latency will not remain same all the time. It can change as the network connectivity, traffic and routing change over time. Latency-based routing works according to the latency measurements over a period of time, and the changes are revealed in the measurements. So in this case, the latency routing policy will not work since the routing changes over time. Now let us look at the Geolocation routing. It allows Route 53 to route the traffic to the resources according to the geographic location of the source query. You can make your content localized and display your website in your own language in the Geolocation routing. If you’ve country-specific distribution rights you can control the content distribution to a specific country. With Geolocation routing policy all the criteria mentioned in the scenario is satisfied. Hence, a user from Lille will be directed to a resource in the Paris region, similarly a user in Bristol will be directed to London region and a person in California will be directed to US West region and the user data will be stored in the appropriate servers located in that region. So here using Geolocation routing policy will also ensure that the person from Lille will view the website and contents in French, a user from Bristol will view it in English. It is important to note that Geolocation route policy maps IP addresses to locations while working. However, some IP addresses aren’t mapped to geographic locations. In such cases, Route 53 returns a “no answer” response for queries from those locations unless the default record is created. And when a default record is created, it will handle the queries from IP addresses that are not mapped to any location. Apart from the above two, you must also know about Route 53 Geoproximity routing policy which is similar in concept to Geolocation routing with a subtle difference. Hope that now you have a clear picture on the difference between Route 53 Latency-based Routing policy and Route 53 Geolocation Routing Policy and when to implement these routing policies. Whether you are preparing for any of the AWS Certifications, especially AWS Certified Solutions Architect Associate exam or the AWS Certified SysOps Administrator Associate exam, you need to understand the difference between these Route 53 policies i.e. Route 53 Latency-based Routing policy and Route 53 Geolocation Routing Policy. So, this article will help you in your AWS CSAA and AWS SysOps exam preparation. 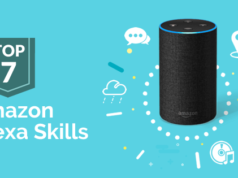 Along with the helpful resources, we provide you with the online course and practice tests for the AWS Certified Solutions Architect Associate and AWS Certified SysOps Administrator Associate. 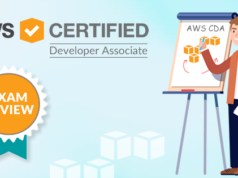 So, join us now to become and get AWS Certified.